Gretel Ness, a shareholder of Parker Bush & Lane, has always known she wanted to specialize in immigration law. 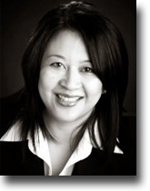 Her practice focuses on employment immigration, family immigration, and citizenship issues. She also assists clients in immigration planning related to sponsorship of other family members or employer compliance with employment verification rules. In addition to her background in immigration law, Gretel has the unique advantage of knowing firsthand what it is like to be an immigrant in a new country, having emigrated from the Philippines in 1985. As a former Immigration and Naturalization Service Asylum Officer, she has also worked on U.S. immigration law enforcement. U.S. immigration laws. In her own words, Gretel talks about her work as a lawyer who is able to utilize her unique background to help immigrants establish new lives in America. I always knew I wanted to be a lawyer. I emigrated to the U.S. with my family when I was 15. I was old enough to remember going through the process of immigration: going to the U.S. embassy, being interviewed. When I was attending law school, I applied for naturalization to become a U.S. citizen. I speak Tagalog. I figured that I already have a set base of Filipino clients. I feel really privileged and lucky to be doing immigration law. From the beginning, you start off on the positive. Clients want to either get a work visa, become a permanent resident, or a U.S. citizen. You’re helping them start a process in their life that could have far-reaching impacts on the future generations of their family. I feel really lucky being in a profession I really love, while making a difference in somebody’s life. I worked for the government as a political asylum officer for a couple of years. I saw a lot of applicants from New York and New Jersey applying for political asylum. The bulk of the cases we saw were fraudulent. We had a lot of male applicants from China claiming prosecution based on the one-child policy. I loved working for the asylum corps because I had the opportunity to be exposed to different cultures. It was a great experience to learn about the systems and databases, and researching country conditions. There are only eight asylum offices throughout the country. I was working in New Jersey at the time, so we had jurisdiction over a number of states. I was sent to Guam to interview Kurdish refugees fleeing Iraq. Immigration law is so specialized, and many lawyers in the field are solo practitioners. My firm, Parker, Bush & lane, is one of the only firms in the Northwest that specialize in the full range of immigration law. We do not just do deportation and removal hearings, we also do work visas and employment cases, and political asylums and citizenship cases. A big part of our job at PBL is education. U.S. immigration policies don’t have categories for all types of workers. Especially for unskilled workers, even if they or their employer wants them to gain legal status, there isn’t a way for them to do that. For example, in the Asian community, many Filipinos own adult foster care homes. Time and time again, we get approached by owners who want to sponsor work permits for caregivers without papers. But there is no corresponding work visa. We deal with clients who are U.S. citizens married to a foreign national who crossed the border illegally. Even though they are already here, the law requires them to be interviewed at the U.S. embassy in their home country. I think there is a lot of misinformation in the public about our immigration laws. If people understood how U.S. immigration policy works, they would be more sympathetic and less harsh when it comes to judging people who come here looking for a better life. We have to overcome that kind of mentality on a daily basis. There are a lot of decent people who work for the other side, but there are more who already have all these biases against people. As immigration procedures become increasingly electronic, instead of face-to-face, our work in conveying the human side to the applicant only gets harder. Interviews are becoming rare, and government workers make decisions based on a paper trail. We’ve seen a lot of worksite enforcement raids in the last eight years of the Bush administration. There was a lot of due process violations: people getting raided and picked up for using false social security numbers. At the end of the day, they’re still entitled to due process rights. Instead, they were treated like cattle. After 9/11, there was more scrutiny among people applying for student visas to come to the United States. People are bveing denied visas because they fit a certain profile. Some of that scrutiny is probably justified, but we seem to have lost the balance of common sense and being too heavy on enforcement. Hopefully, with a new administration, we’ll see some of that change. One of the first things that came out of the Obama administration is changes in the process of filing a request for records under the Freedom of Information Act. We always had the ability to file requests, but there were many things that were being held back. Requests used to take over a year to be processed. When you get the records, half of it is blacked out for law enforcement or national security reasons. It’s hard to defend someone when you don’t know what’s in their records. There’s more transparency now than there has been in the past eight years. Little by little, we’re seeing things go back to some semblance of reasonableness. Comprehensive immigration reform was talked about a lot in the last couple of years. Immigration reform is supposed to be the third priority of the new administration, next to national security and the economy. But the first two priority areas are such big issues to tackle, that it’s hard to tell if we’ll see any movement toward immigration reform anytime soon. There are supposedly 12 million illegal immigrants living in the U.S. With the economy as bad as it is, there aren’t even enough jobs for Americans: why create a path for legal status for more people who may take jobs away from American citizens and legal residents? The way I see it, those 12 million people are already here. They’re already living here and working. Some of the propositions include requiring these workers to pay back taxes and fines for those years they spent in the country without papers. That would be an infusion of money to the system. "If people understood how U.S. immigration policy works, they would be more sympathetic and less harsh when it comes to judging people who come here looking for a better life." "There’s more transparency now than there has been in the past eight years. Little by little, we’re seeing things go back to some semblance of reasonableness."